The original researches of the linguist/ Russologist Purabi Roy sponsored by the Asiatic Society, Kolkata, under the able leadership of its General Secretary Professor Anil Kumar Sarkar, into the question of the disappearance of Netaji Subhas Chandra Bose from the Taihoku airport on August 18, 1945 raises more questions than it solves. The research was made possible by the fall of the Soviet government in 1991. The present work is a product of that project. Ever since the glasnost and the perestroika in the former Soviet Union, Russian scholars had been trying to unveil the mystery of Netaji's disappearance in 1945. One such researcher, Kolesnikov, had referred to a meeting between Stalin, Molotov, Vischenskii and Malik. Kolesnikov later became the Russian Ambassador to Turkey. But when the Mukherjee Commission tried to contact him during its enquiry the Russian government pleaded its inability to trace him. As a result Kolesnikov’s testimony could not be obtained. This is probably traceable to the alarm of the Narasimha Rao government at the possibility of new evidence detrimental to the image of the Congress government entrenched in power in post-independence India being unearthed by the deposition of men like Kolesnikov. In 1993 when during the perestroika phase a Moscow journal, Aziya I Afrika Sogodniya (Asia and Africa Today) declared its intention to publish articles on hitherto unknown records from Russian archives the Narasimha Rao government had taken great alarm and sent Ajai Malhotra, the Counsellor from the Indian Embassy to pressurize Turadzhev, the Joint Editor, not to proceed in the matter. Purabi Roy came in touch with many such scholars like Devyyatkin, Raikov and Vinogradov, who had collected evidence to question the theory of Bose’s death at Taihoku and published articles on this matter. The most interesting of such articles was Leonid Katov’s Indiskogo Garibaldi etapirovali v. Sibir (Indian Garibaldi halted at Siberia), which mentioned Bose’s internment at Siberia. Purabi Roy could access some records in the State Archive of Russian Federation (GARF), Russian State Archive of Socio-Political History, Archives of the Ministry of Foreign Affairs (MIR), KGB and CPSU (Communist Party of the Soviet Union) during her visit to Russia. The intervention of Lord Peter Archer, a Labour Party member of British Parliament, persuaded the British government to declassify a few War Office Records of MI 2 related to Netaji. She had also contacted Toshikazu Shimoda, a Netaji expert in Japan and received a copy of the death certificate of Netaji signed by Dr. Yoshimi Tanioshi on August 26, 1996. But when she reached Japan and talked personally to Dr. Tanioshi, she discovered that Shimoda had never met Tanioshi and had reached his conclusions about Bose’s death on the basis of the photocopy of the death certificate that he had somehow procured. Dr. Tanioshi was unable to recollect the incidents of the fateful day when Netaji went missing. Tanioshi could throw no light regarding the actual circumstances of his death and the whole incident remained shrouded in mystery. Actually Yoshimi Tanioshi was the medical officer of the Japanese Imperial army who claimed to have treated Bose on August 18, 1945. It was on the basis of the death certificate signed by him that Lt. Colonel J.G.Figges , Military Adviser attached to the UK Liaison Mission in Japan, submitted his report on July 25, 1946 regarding Bose’s death through severe burns. Figges’s report based on that of Dr. Tanioshi became even more suspect as there was a second report submitted by Sub-Lieutenant Tsuruta Tryoshi, who treated Bose at Taihoku in October 1946. This report attributed Bose’s death to heart failure due to burns and shock. The existence of two different reports gave rise to a suspicion regarding the truth of both reports and pointed to an attempt at an uneasy cover-up. Initially, the British too did not believe that Bose was dead. The records of the Japanese news agency, Hitkari Kikan, pointed to a different tale. British Intelligence reports of this period mentioned that Bose would return any time when he would judge the moment opportune. On December 31, 1945 the National Herald in New Delhi reported that Bose had left for Russia. This was corroborated by Hugh Toye’s confidential comments in a Combined Services Detailed Interrogation Centre. Gandhi and the Ambassadors in Teheran and Kabul shared the same opinion. Purabi Roy found Bose’s departure for the USSR through Manchuria to be the most convincing explanation of his sudden disappearance since August 1945. Bose’s erstwhile relations with the Soviet Union contributed to this belief. It was Bose’s dream since long to build up an independent India on the socialist pattern. Like many other revolutionaries of his genre, he too had written about the dreams he had woven around the socialist experiment launched in Russia by the Bolsheviks in 1917 in his Taruner Swapna. He was invited to attend the 14th Congress of the Communist Party of the Soviet Union in Moscow. As the right hand man of C.R.Das, Bose had been a friend of the Comintern entrusted to spread the socialist experiment to all the countries of the world from Soviet Russia. Abani Mukherjee had been sent to India in the 1920s by the Comintern to submit his report about Subhash, which he did on 22 April 1924. Virendranath Chattopadhyay of the Comintern, A.C.Nambiar and M.N.Roy were in close touch with Netaji, when he was staying in Badgastein. Together they planned to set up centres of Indian nationalist propaganda. Bose’s socialist inclinations soon brought him into conflict with Gandhi and in spite of having won the office of the President of the Indian National Congress for a second time in 1939, Bose failed to retain the post. He formed a leftist bloc of socialist minded Congressmen and named it the Forward Bloc. The signing of Russia’s non-aggression pact with Germany in 1939 created a new image for Germany. Along with Italy, it once again became the focus of all nationalist aspirations in the East. Discussions with the nationalists and workers of different parties and organizations at this point encouraged Subhash to leave the country. His departure was masterminded by Niranjan Talib, editor of the Desh Darpan, Sardar Baldev Singh and Achar Singh Chena of the Ghadar Party, which was known as the ‘Kirti’ group. The details of the escape were planned by Achar Singh and Ajoy Ghosh. This was the time when the Communist Party of India had been seriously considering merger with the ‘Kirti’ group. Bhagat Ram Talwar accompanied Subhash to Kabul. But Subhash could not immediately go to the USSR as the British planned to bombard the oil fields of Baku under the information that Russia was planning an attack of India. Subhash prepared an Italian passport under the name of Orlando Mazatto and secured visa for the USSR. German agents had discovered Bose’s closeness to the Comintern and Subhash maintained contacts with both Russia and Japan for his country’s liberation from Badgstein. 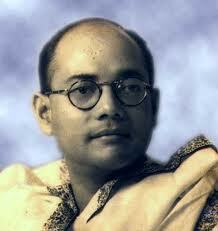 Subhash had by this time launched the Indian Legion, Free India Centre and the Azad Hind Radio. Germany recognized the Free India Centre and granted it diplomatic status. The support of Keppler and Von Trott for the Indian Legion brought Bose into contact with Ribbentrop and Hitler. With the consecutive setbacks of the INA in Imphal and Japan’s defeat near Saipan, Bose contacted Jacob Malik, the Soviet Ambassador in Tokyo in November 1944. In his Bangkok speech of May 21, 1945 Bose spoke of shifting the seat of his provisional government to the Yunan province of China where Communist influence was the most dominant. From here he tried to contact the Soviet authorities in Siberia. This was the time when the Second World War had come to a close and the USSR was becoming hostile towards Britain. Netaji, therefore, must have begun weighing the option of entering Russia and to carry on the liberation struggle from Russian soil. Purabi Roy has striven her utmost to piece together the fragmented evidence that she could access from the rare documents that came her way. Initially she had found a cordial response from Russia. But for some mysterious reason the early warmth disappeared very soon. Her wide contacts with Soviet scholars stood her in good stead in working out her hypothesis. But after some groping in the dark she leaves us from where we had started our journey. We liked to believe that Taihoku did not see the last of Netaji. Purabi has helped to confirm those hopes. But beyond that she cannot take us far. Her familiarity with the changing global situation point to a very convincing explanation why Netaji should try to enter the USSR after 1945. But what with the reticence of the authorities she cannot take us any further. As Sobhanlal Duttagupta, who has enriched her analysis by a very kind foreword, remarks: her evidence is at best ‘circumstantial.’ They encourage us to cling to our earlier beliefs. They cannot silence the critics of those dreams.